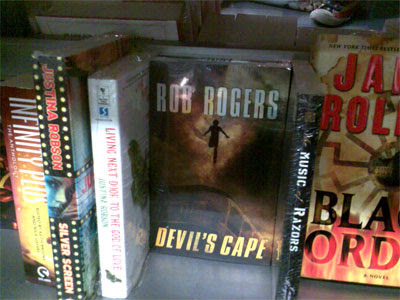 My blogger buddy Charles Tan was kind enough to e-mail me that he spotted Devil's Cape at his local bookstore--in the Philippines! He sent me a picture and bought it, too! Hope you like it, Charles! Spork Boy also let me know that his pre-ordered copy arrived from Amazon today. I'm pretty excited. Have you spotted/gotten a copy? Let me know. In celebration of the fact that we're a mere four days from the release of Devil's Cape, I wanted to try something a little different for tonight's Friday Night Fights (may Bahlactus have mercy!). Usually I see comic book panels slung into the fray. Tonight, I'm keeping with the whole theme of superheroes and supervillains duking it out. But for this bit of mayhem, I'm using words, not pretty pictures. And this battle between Argonaut and the Troll, straight out of page 153 of Devil's Cape, is no pretty picture at all. Click the image to read the page in its full glory, Bahlactus. If you dare! How'd you like that, Bahlactus? 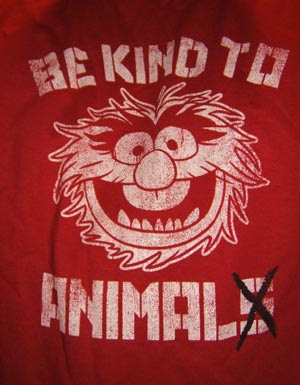 So the other day, I happily wore my new "Be Kind to Animal" T-shirt for the first time. My older son Alex said that the shirt was "embarrassing." How could it be embarrassing, I wondered? It was cool! Then it turned out that he thought that the shirt had Elmo on it. How embarrassing! Not that my son thought I'd wear an Elmo shirt--stranger things have happened. No, embarrassing that my own flesh and blood had no idea who Animal is! My firm belief is that my son will no longer diss my Animal shirt! Quick update. My buddy Jeff Hebert of HeroMachine fame was kind enough to offer to host the PDF on one of his sites (actually, the awesome Uberworld site that Jeff set up for the Uberworld campaign universe where I'm a somewhat lax participant--if you have a hankering for great superhero play-by-e-mail gaming, or just want to read an assortment of really cool Champions characters, check it out). 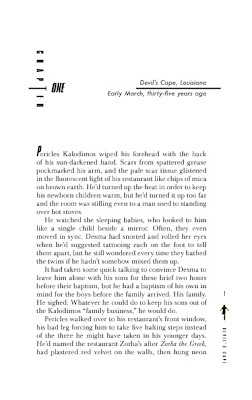 Anyway, if you'd like to read the first chapter of Devil's Cape. 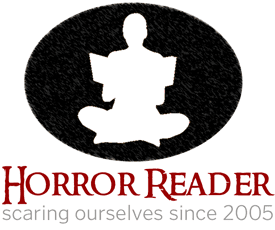 click the image above or this link and all will be revealed. Wizards has also posted a book tour page showing where I'll be and when. Here's the most recent information. If you're going to be anywhere nearby, please come by and say hi. Man, it's just one week until Devil's Cape hits bookshelves. If you're interested in the book, please call your local bookstore and make sure that it's going to be stocking some copies. Judging by the other Discoveries titles, it might not automatically be stocked, and I could really use the help generating some interest. Wizards has expanded its coverage of Devil's Cape on its site. 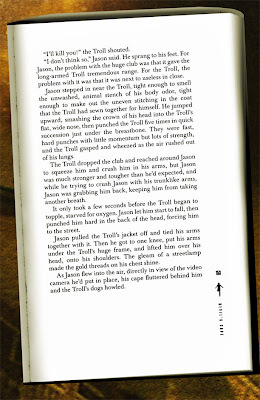 Some things are still being tweaked and more content is coming, but I'm excited that a sample chapter has been posted. Please take a look at it here. I apologize that it's a zipped file--I'm not sure why they do it that way. If I can figure out a way to host the PDF myself somewhere, I'll do so. Thanks to Living Between Wednesdays for the image. This is pretty cool. It's better passed along without much comment. Check out the awareness test at this site (dothetest.co.uk). Aw, heck. The Comic Book Resources site is reporting (as are others, I'm sure) that Dave Stevens, creator of the Rocketeer and a generally phenomenal comic book artist, has passed away. He was a phenomenal talent and our world is a little smaller and less interesting without him. As usual with any death related to the comic book industry, Mark Evanier has taken an insightful look at Stevens's life and career. OK, I can't resist a follow-up to the last post. I think maybe this latest revelation about "Mary Ann" helps explain why it took them so darn long to get off the island. UPDATE: It's been pointed out to me that the picture to the left might be a bit unclear. In the original, Mary Ann was posing with a stalk of corn. Now, thanks to the magic of PhotoShop, she's posing with a marijuana plant. Ta-dah! Yeah, OK. I've got nothing original to say here beyond the title of my post. Don't get the Mary Jane joke? My awesome wife is throwing me a party to celebrate the launch of Devil's Cape. I'm very, very excited and looking forward to it a lot. For some reason, I'm focusing on what type of music to play that night. Music from Louisiana would certainly be appropriate (hey, Joe, if you make it, can you bring that zydeco CD you played at your book party? 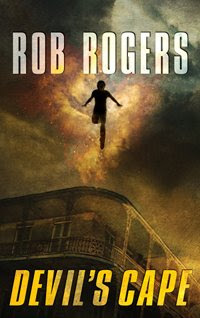 ), since the book's set in Louisiana. And I'll probably put on a pirate track or two (since the city of Devil's Cape was founded by pirates). "Believe It or Not"--yeah, it's cheesy as all get-out, but so am I, and I was a fan of The Greatest American Hero back in the day. 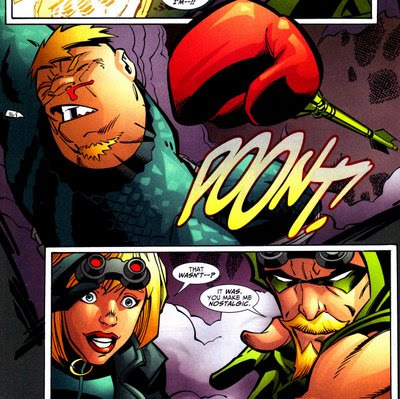 "You Don't Mess Around with Jim"--shout-outs to Superman and the Lone Ranger? Oh, yeah. Maybe that new Heroes soundtrack that's coming out. I love Heroes. Those cool theme songs from the 60s-era Marvel cartoons ("Doc Bruce Banner, belted by gamma rays..."). Not sure where I can find those, but that would be cool. Other superhero movie scores (not sure how many I really dig). Here's where you, my readers, come in. What am I missing? What songs should I be playing here? Thanks! 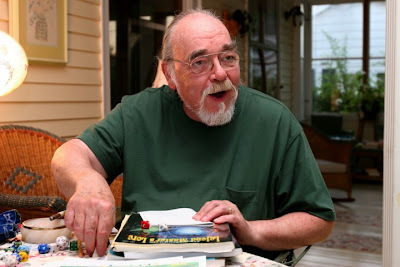 Jeff Rients of the excellent Jeff's Gameblog (a daily read) has a nice, thoughtful post about honoring Gary Gygax's memory. Take a look. I'd totally like to name my next dog Gygax or Mordenkainen. I stepped away from my computer and came back to sad news. Gary Gygax passed away this morning. The co-creator of Dungeons & Dragons, Gygax was a legend in gaming and had a tremendous influence on how games are played. My life--as well as the lives of many, many others--would be very different without him. I wouldn't be the person I am today without gaming, and I wonder if I'd have a book or a publisher without him. I have a brief personal anecdote about Mr. Gygax. 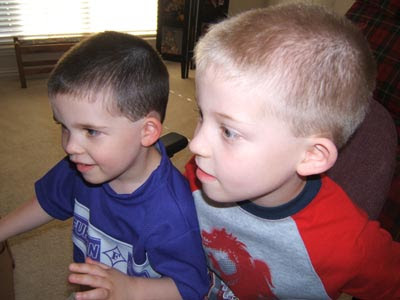 I attended my first GenCon at a relatively young age. I'm not sure of the exact year, but it was during the period that the convention was being held at the University of Wisconsin--Parkside. It was a smaller convention then, but overwhelming and exciting for me (I must have been about 13 or 14 at the time). Because I wasn't driving yet, my mom took me (yeah, she's cool). She cut me loose at some point to wander around the various booths. Eventually, I looked up to see her heading toward me, a middle-aged guy squiring her through the crowds and directing her to my current booth. He seemed pretty charmed by her. My first reaction was kind of "Who's that guy and why's he being so friendly with my mom?" My second was "Holy crap! That's Gary Gygax!" My head practically exploded with this brush with greatness. He was kind and gracious and patient with me. I believe I got an autograph or two out of the experience, as well as a fond memory. I told a coworker the news a few minutes ago. His reaction? "I think my Constitution just dropped a couple of points." Mine, too, brother. Mine, too. UPDATE: Wizards of the Coast has a nice tribute graphic up on its D&D page. I've copied it below (you can see it full-size with a click). 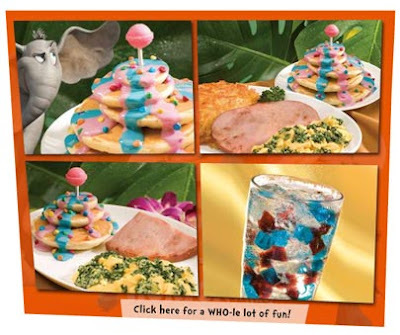 To promote the new Horton Hears a Who movie, IHOP has rolled out new Seuss-themed menu options that include green eggs and ham. The pancakes look a little over the top (although I'm sure my kids will love them), but the green eggs actually look yummy to me. Shelly's Comic Book Shelf has an interesting analysis of the female characters of the DCU, particularly Wonder Woman and Supergirl. 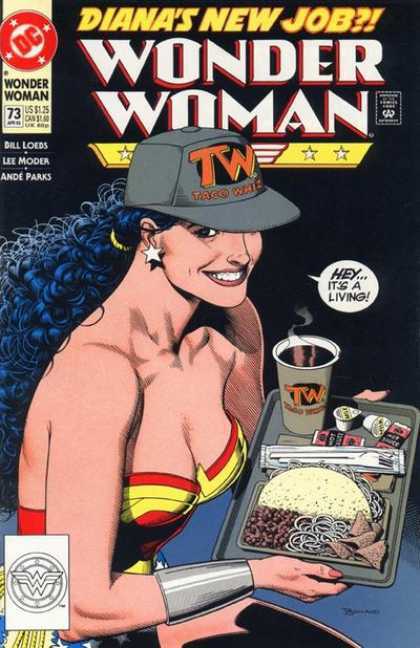 She overlooks Wonder Woman's important career at Taco Whiz, but maybe that's for the best. Chuckle. I love Bill Messner-Loebs and his runs on Flash and Jonny Quest are among my favorite comic book storylines of all time, but some of his Wonder Woman run just wasn't very good. Shelly has a good take on the evolution of the characters. I think that one of the main issues is that the Clark Kent and Bruce Wayne backgrounds were built on much more solid and enduring foundations. Their careers still make sense for the characters today--they're part of the characters' iconography. But the others just don't have that foundation. Linda Danvers never had much of a background outside of the orphanage (I liked the period in which she was a soap opera star--that might be kind of a fun idea to resurrect), and Wonder Woman's secret ID has changed a lot over the years; since the Crisis, in which she essentially was rebooted with no secret ID at all, it's been a much less vital part of her background. The old background as Steve Trevor's assistant in the War Department is too dated and too associated with discarded continuity. I'm not sure I see a great solution here without substantially changing the characters and without some institutional involvement. The problem has been that the out-of-costume careers of Wonder Woman and Supergirl just lack the foundation that Batman's and Superman's have --they are changed from writer to writer and don't gain enough traction to stick around when the creative team changes. I wouldn't put it past Gail Simone (current, awesome writer of Wonder Woman) to set up a status quo for Diana Prince that sticks around a while, but it all depends on editorial support and sticking power. I'm rambling on a bit.